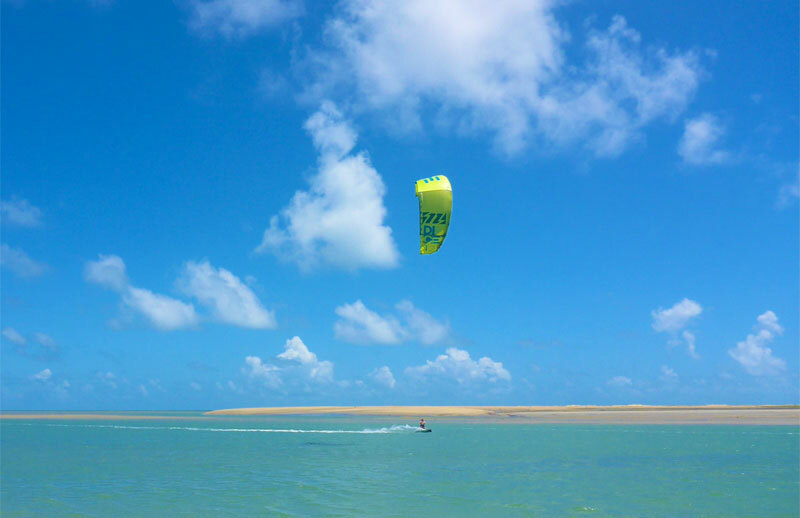 In front of Praia da Barra, 400 meters from the shore, a strip of sand running parallel to the coast for 7 km creates an immense lagoon of clear and clean water thanks to direct flow from the ocean. 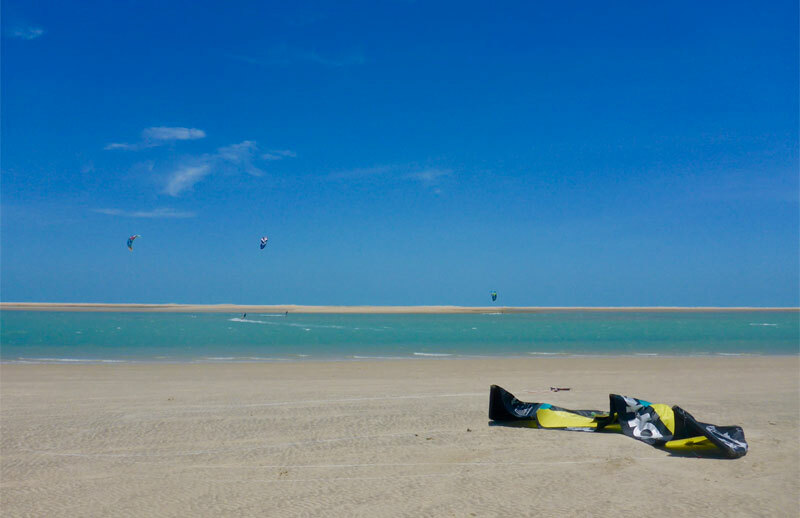 This protected environment is ideal for the kite surfing, since it keeps surface of the water flat, or slightly ridged on windy days, and sea depth is between 50 and 200 cm. 2 km away from Casa Suiça, the bay meets the ocean, where environmental conditions are often perfect for wave riding. In the period from August to October, the wind is favorable and travels at a speed between 20 and 30 knots per hour, tending to be lighter in the morning and rejuvenate in the early afternoon. From November to January, the wind drops slightly, reaching 15 to 25 knots per hour. 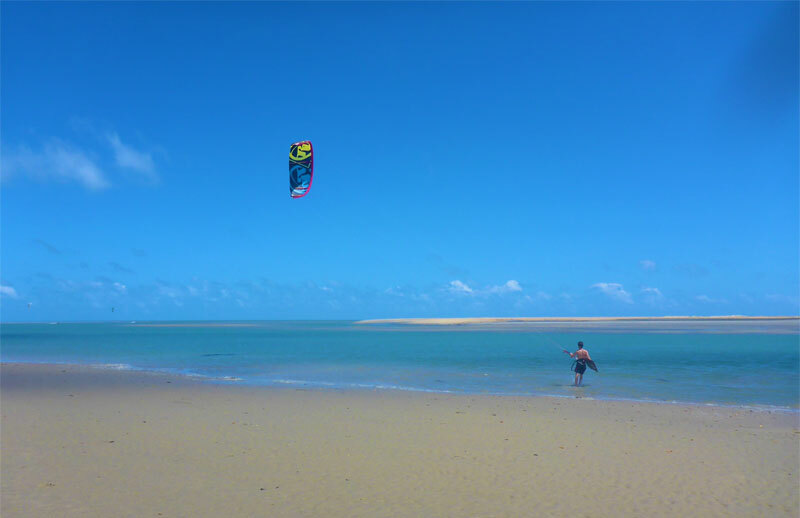 The most beautiful kitespot of north Brasil. Discover our courses for all levels of experience, and improve your skills in the water! 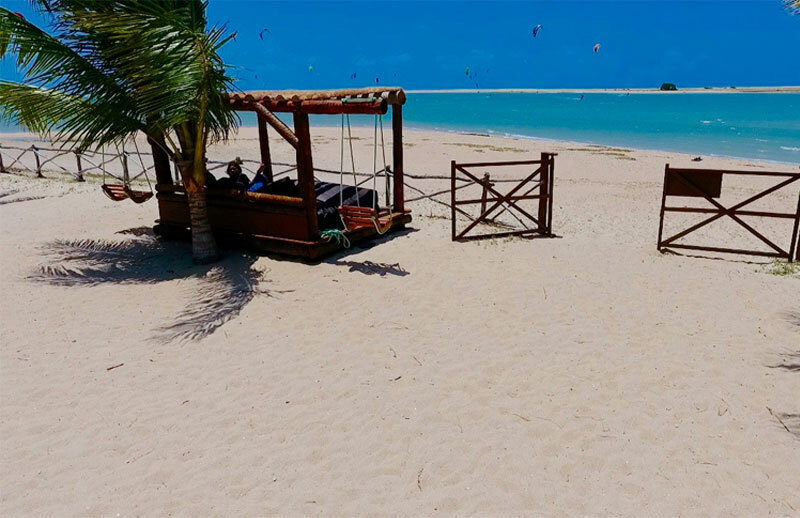 Do not miss the fun and adrenaline that only kitesurfing can give you. 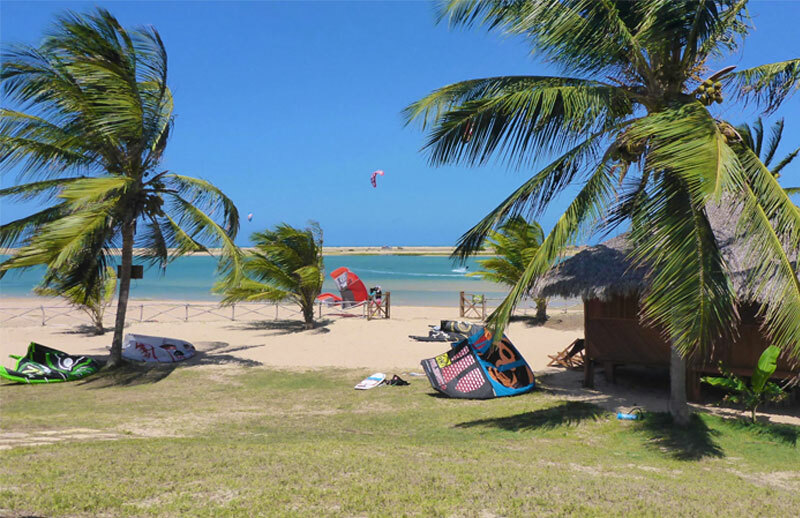 Casa Suiça offers the possibility to rent equipment, whether you take a part in a course or you want to kitesurf by yourself because you already are an experienced kiter.